An unbeatable blend of stunning natural beauty and year-round fun makes Cape Town an easy city to fall in love with. For starters there are the beaches – so many you’ll struggle to single out a favorite and then there’s hiking on iconic Table Mountain, the penguins of Boulders Beach, the ever-popular V&A Waterfront, the nearby Cape Winelands and picnics and concerts at Kirstenbosch Gardens. South Africa’s largest and most legendary game reserve, the Kruger National Park is home to the country’s greatest diversity of wildlife and includes the super-celebrities of the safari circuit: Africa’s Big 5. 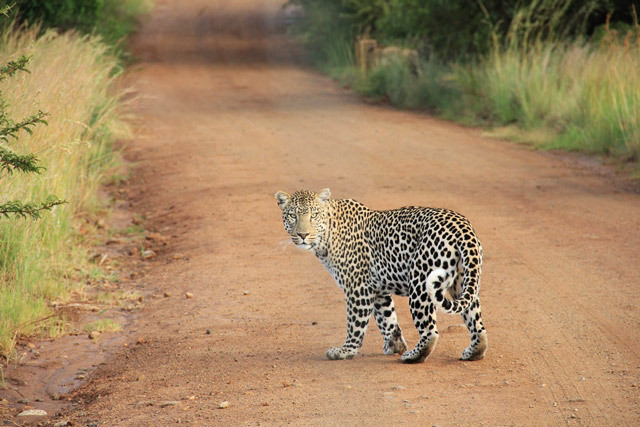 Why pick Kruger for your South Africa safari? 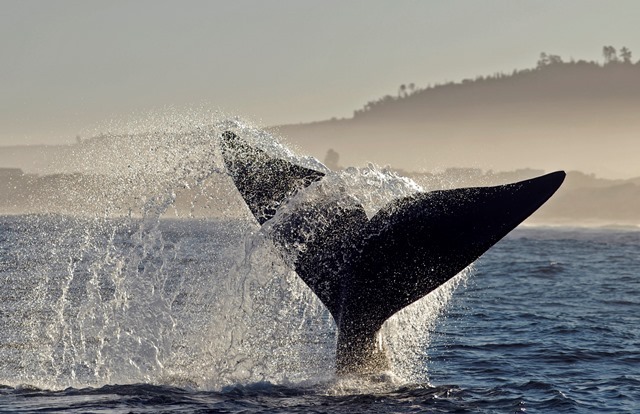 It’s where to go in South Africa for guaranteed big game sightings, there’s accommodation to suit every style and budget and being so well connected by air, you can easily round off your Big 5 safari with a few days on Cape Town’s beautiful beaches or even a tropical island off the Mozambique coast. A must-do activity on a trip to Cape Town is a journey to the top of the Mother City’s most iconic natural landmark – Table Mountain. Seeing the city and sea spread below you from 1085m above is a gasp-worthy sight like no other. 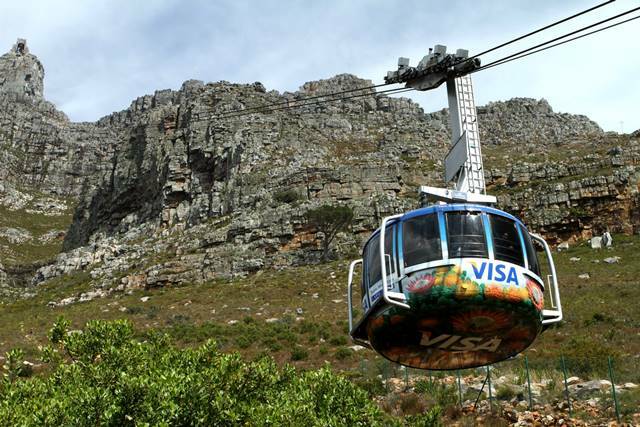 Reaching the flat-topped summit is easy with the Table Mountain Aerial Cable-way; the modern cable-way accommodates 65 passengers in each of its 2 cars, and the interior floor rotates 360 degrees on its 5-10 minute ascent and descent. Travelling upwards and downwards at around 10m per second, cable car riders enjoy an unmatched view of the beautiful Mother City, and from the top, the panorama is legendary. Table Mountain is also a nature reserve, home to a variety of indigenous animals and plants, with various paths to explore. 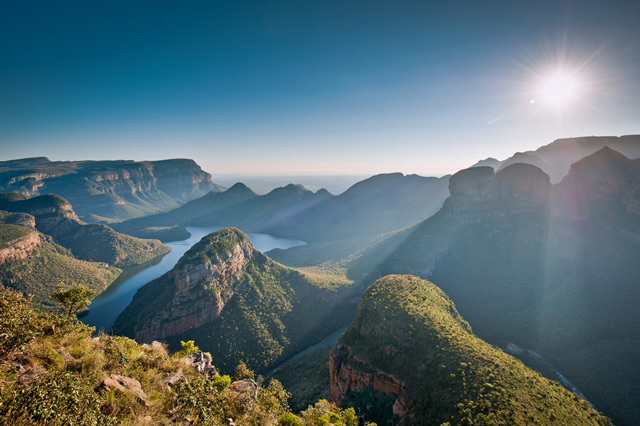 Mpumalanga’s scenic Panorama Route is home to the famous Blyde River Canyon, among the well known South Africa travel destinations is the largest green canyon in the world, with a number of famous viewpoints along the route such as God’s Window, Wonder View and The Pinnacle offering some of the most breathtaking panoramic scenery in South Africa. The canyon, which stretches for 60km from Graskop all the way up the Abel Erasmus Pass, is the third largest canyon in the world. 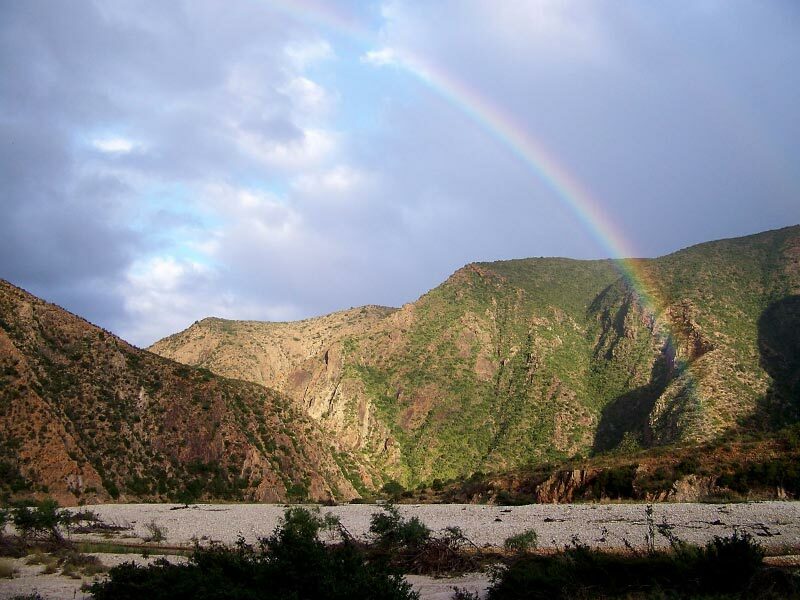 Now called the Motlatse River Canyon, it boasts a variation of plant and animal life including a number of rare species, many of which can be viewed on game drives in the Nature Reserve. 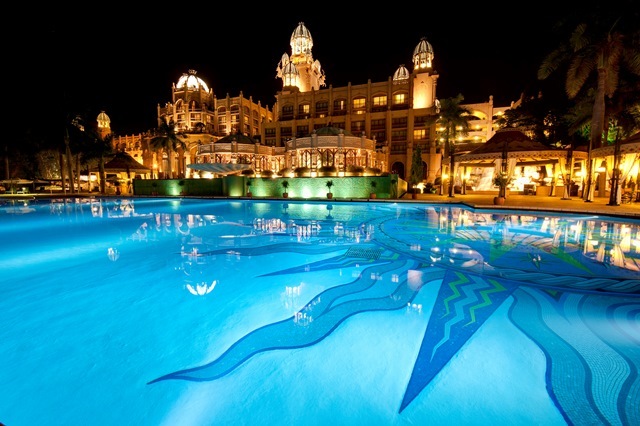 Just an hour and a half outside Johannesburg lies South Africa’s undisputed ‘Kingdom of Pleasure’ – Sun City. If you’re looking for true escapism and non-stop entertainment then this is without question where to go – there are championship golf courses and world-class casinos, a slide-filled water park plus nightclubs, shops, restaurants … they’ve even built their own beach! And if that’s not enough, Sun City is right next to the Pilanesberg Big 5 Game Reserve. 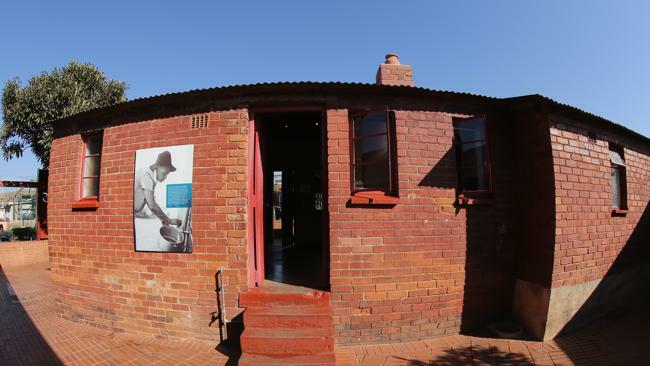 Soweto’s most famous street was once the home of two Nobel Prize laureates in Nelson Mandela and Archbishop Desmond Tutu.The Archbishop still owns his house in Vilakazi Street, while Madiba’s house, at number 8115, has been converted into the Mandela Family Museum. The street is historically significant having been the site of a massive students uprising in 1976 where protester Hector Pieterson was killed. There are also some famous restaurants here where visitors can sample traditional local dishes as well as the community TV station, Soweto TV, broadcast from a classroom at the local primary school. 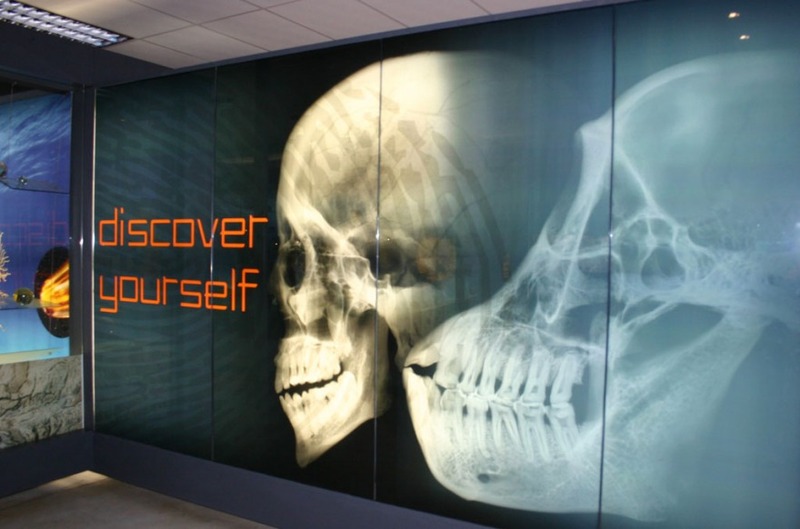 One of eight World Heritage Sites in South Africa, the Cradle of Humankind is the richest hominid site in the world, as 40% of the world’s human ancestor fossils have been found here. The area, which covers 53 000 hectares, is also home to a number of birds, plants and animals, many of them rare and endangered species. The Cradle itself is a strip of 12 dolomitic limestone caves that are home to the fossilised remains of ancient animals, plants and more than 850 hominid fossils. Thanks for reading the list of South Africa travel destinations, are there more places you’lld like to add to the list? Then please do so with a comment. Happy travels x.